As we enter Day Two of British Pie Week how many pies have you eaten?! The Pierateers ate 15 pies on Day One! Grab a pie, make a pie, tweet your #PiePledge. Pierateer RAS had to go back to work on Tuesday but that didn't stop him only eating pies all day! The standard breakfast of two Mr Kipling Apple Pies helped him get off the mark on day two of his #Pieathon challenge, to see how long he could just eat pies for, and a delightful surprise awaited him when he arrived at work to find a pie delivery from top pie makers "Nice Pie". 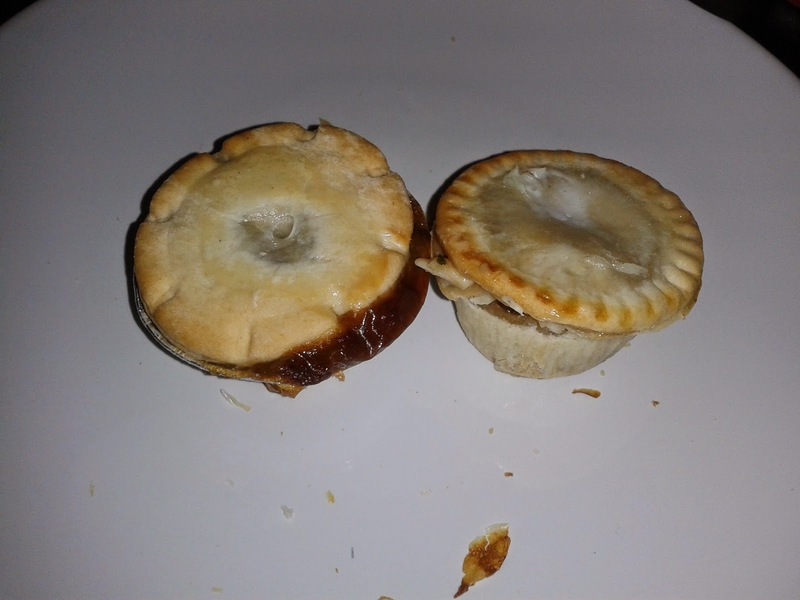 You may have recently seen them - and their controversial but delicious squirrel pie - on Jamie and Jimmy's Friday Night Feast recently and you can see how all their previous pies rate in our last Nice Pie review. For lunch Pierateer RAS tucked into a previously rated Pork Pie from Pork Farms, which claim to be the nation's most popular pork pie in terms of value sales. Another Mr Kipling Apple Pie followed for dessert, but the main pie intake would be saved for the evening. 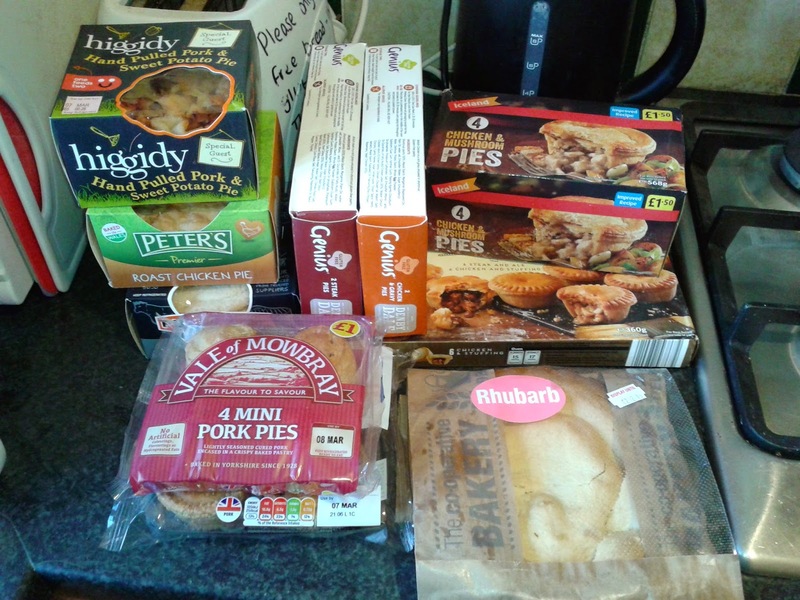 Upon getting home, Rob was delighted to find a selection of five Nice Pies to munch through this week, with the first two to get reviewed being the Red Stag Pie and Cow Pie - one of which was Pierate Highly Recommended! After a 3210 calories and 7 and half pies on Day One Pierateer SJL had perhaps forgotten that this was a #Pieathon not a #PieSprint. The morning breakfast consisted of two Mr Kipling Apple & Blackcurrent pies (which we reviewed long ago!). The two Sainsburys Pork Pies left over from Day One were eaten mid-morning. For lunch the second half of the Pasta Pie Bake was consumed which went down very well to add a bit of healthy veg to the pie consumption! The evening meal was provided by Iceland. The main course was an Iceland Chicken & Mushroom pie with two of the Iceland Party Pies as a starter. (I could get used to having two mini pies as a starter before my main pie!) 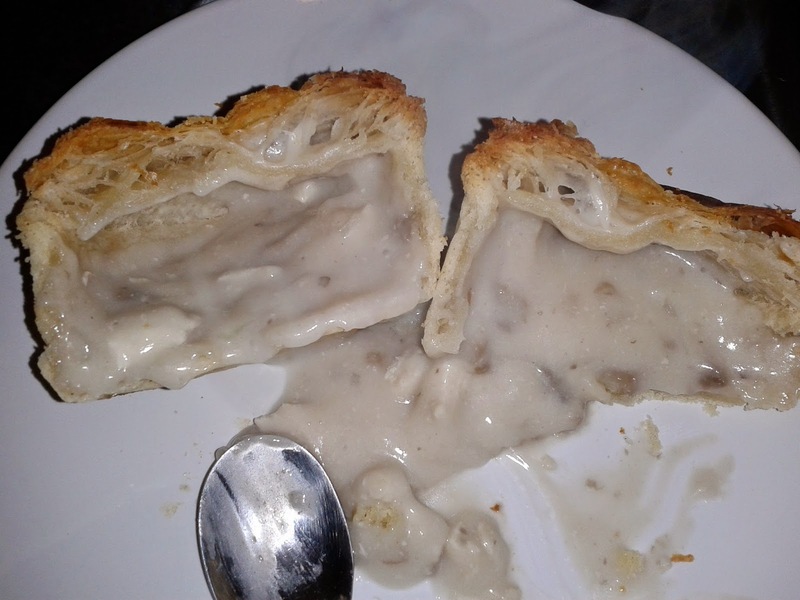 See the review of the Iceland pies, the main course was a bit of a disappointment with a content resembling soup! When reviewing the calories count the Iceland pie was only 365 calories, no wonder when there was nothing to it! Whilst it was very tempting to eat some salad, Pierateer SJL was just about hanging on in there to maintain the #Pieathon. 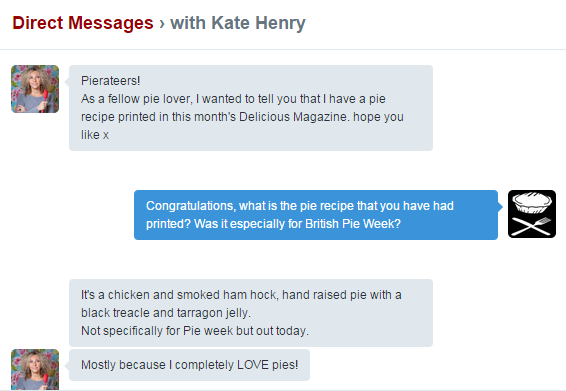 It was also great to hear from Kate Henry, who I'm sure you won't need reminding was star baker in pie week in the 2014 series of the Great British Bake Off! Kate's managed to get her pie recipe in the latest Delicious Magazine, which is all very exciting! Well done Kate! It of course wasn't just Kate making pies though for British Bake Off last year, as we managed to get Michel Roux Jnr to rate our Crocodile pie on Great British Bake Off: An Extra Slice!